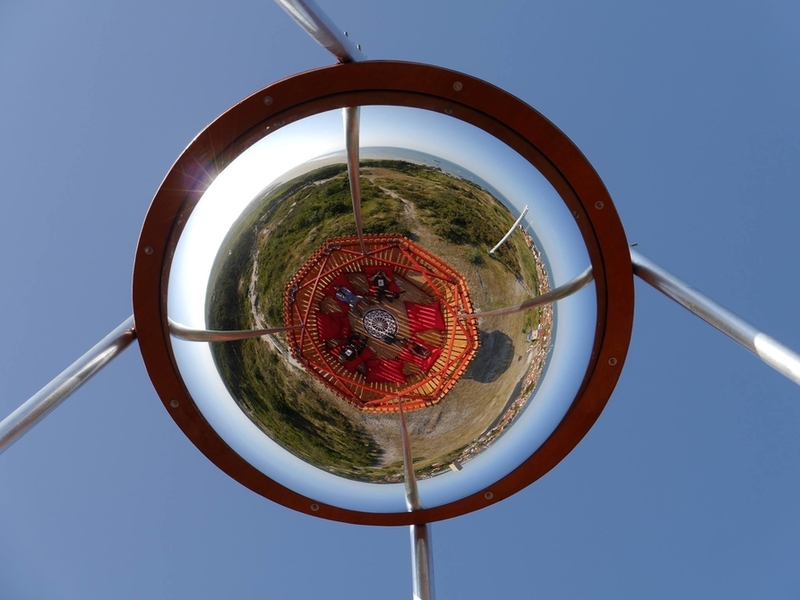 From the dizzying heights of the Camera Batavia watchtower – located on the Waddendijk dike near the Frisian village of Ternaard – you will observe the view from all directions through the unique perspective of a vortex mirror. It’s a disorienting and new experience that will offers a new, refreshing take on the landscape. 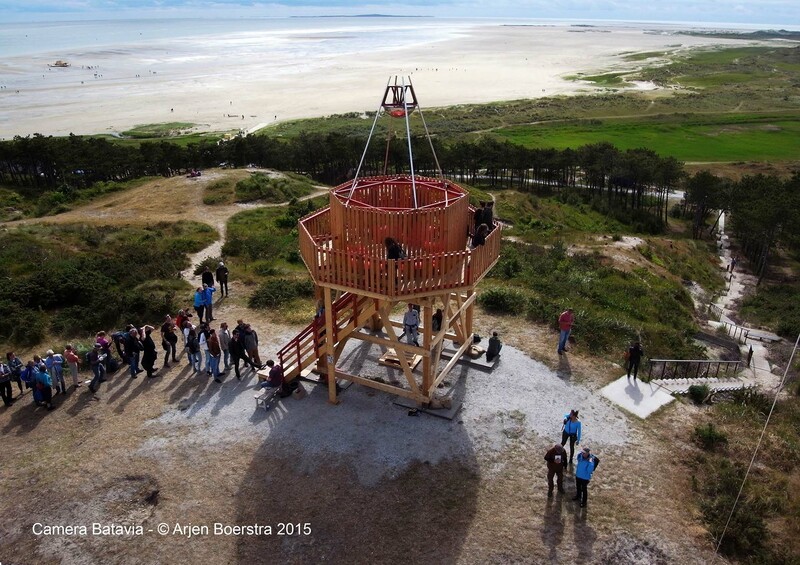 Test versions of the Camera Batavia tower were previously on display at the 2015 and 2016 editions of the annual Oeral festival on the island of Terschelling. The final version of the tower will be erected in Ternaard in 2019. You can experience the mirror image from the tower both on sofas in the exterior space and from the closed interior space (similar to a camera obscura). Born in the Frisian town of Heerenveen in 1967, Arjen Boerstra currently lives in the village of Den Horn in Groningen province and works in the city of Groningen. He attended art school at Groningen’s Academie voor Beeldende Kunst Minerva, where he earned his degree in 1993. His work features a combination of installations, video, photographs and performance art. Boerstra on his Camera Batavia project: ‘I decided to reconstruct the attic room from my childhood as a type of memory exercise and also to revisit some of the things that used to fascinate me as a child. I was an inquisitive and creative kid, and it was by rediscovering and observing the world around me that I got to recreate some of those early experiences.